Penn Square is a high rise condominium community in the Capitol Hill neighborhood of Denver. This building is older, but has been undergoing some renovations in recent years to create more modern amenities for it's residents. Many of the units have also been updated with high end finishes to make each space unique. This building offers some the best value for the square footage in Denver. 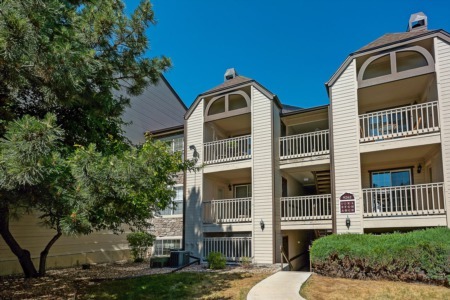 Condominiums have private balconies and some even 180 degree views of the Denver skyline and the mountains. Amenities include a pool, rooftop deck, party room and workout facility.